A Discussion Guide to help you lead a discussion about the stories with your students. 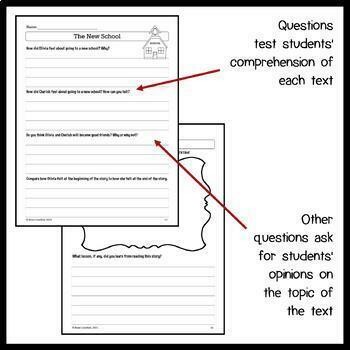 A Close Reading Short Stories handout to help your students read and comprehend each text. Four three-page stories, including vocabulary to look up and learn, questions for contemplation and discussion, and a space for taking notes. A New Word Log for students to use to keep track of the new words they have learned through these stories. 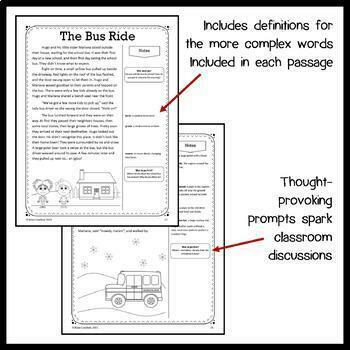 Close Reading is a central focus of the Common Core State Standards (CCSS). Students learn to immerse themselves in the text, think about what the author is saying, and pick out important details in the text in a methodical way. I really appreciate your purchase, and I hope your students enjoy the stories! Have a great return to school and a wonderful fall season! 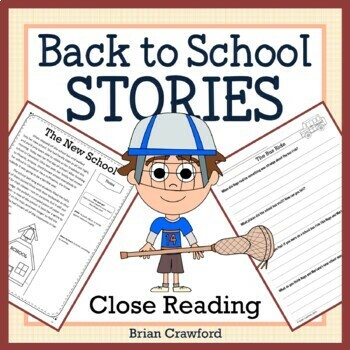 Check out my Back to School Endless Bundle for Third Grade which includes this booklet and 16 others and comes with a 38% discount. 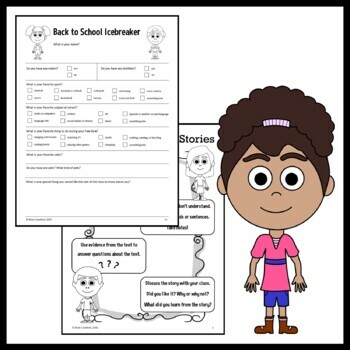 Check out my Back to School Endless Bundle for Fourth Grade which includes this booklet and 16 others and comes with a 38% discount. Check out my Back to School Endless Bundle for Fifth Grade which includes this booklet and 13 others and comes with a 38% discount.